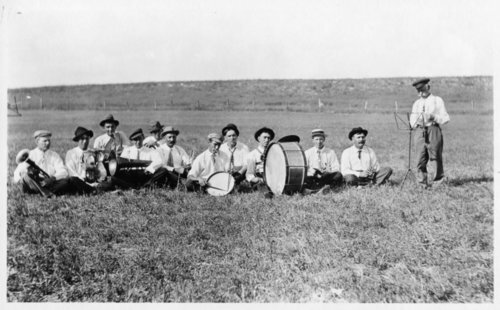 This is a photograph of a band comprised of a group of men with brass instruments and drums seated in a pasture in Volland, Kansas. The conductor, with a clarinet, is Ferdinand Herrmann of Alma, Kansas. Also see Kansas Memory unit 100552.